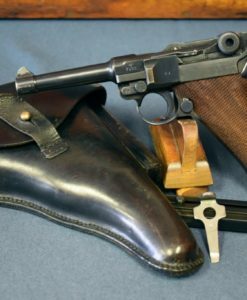 SCARCE EARLY VARIANT NAZI ISSUED ASTRA 300 PISTOL……380 CAL……EARLY 1ST DELIVERY, APRIL, 1942…..VERY SHARP! 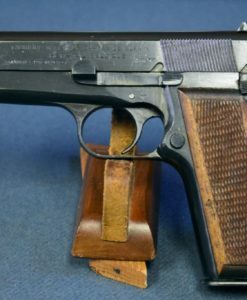 IN 97% VERY SHARP CONDITION, WE HAVE A SCARCE EXAMPLE OF THE FIRST 1942 DELIVERY “EARLY FEATURES” ASTRA 300 PISTOL IN 9MM KURZ. THIS IS A WAFFENAMTED GUN THAT WAS SHIPPED IN APRIL OF 1942. 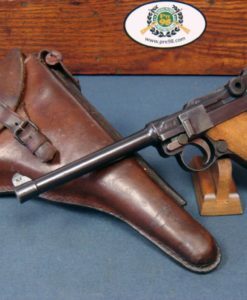 YOU WILL NOTICE THAT THIS PISTOL HAS THE EARLY STYLE FULL LENGTH GRIP THAT RUNS UP THE THE TOP OF THE FRAME. THIS IS STILL HAS A FIRE BLUED EXTRACTOR AND THE ASTRA LOGO ON THE TOP OF THE SLIDE REALLY POPS! 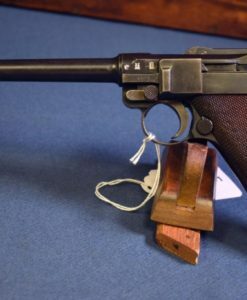 THESE EARLY NAZI PROCURED ASTRAS ARE HARD TO FIND AND YOU JUST NEVER SEE THEM THIS NICE. 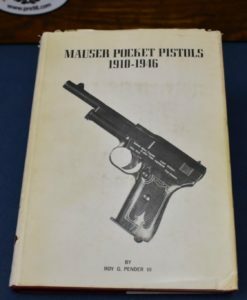 THIS IS A GREAT PISTOL FOR ANY SERIOUS WW2 PISTOL COLLECTOR AND WE HIGHLY RECOMMEND IT TO YOU.